What a difference 15 years makes in fashion dog years. When a sassy chihuahua played Reese Witherspoon's canine companion, Bruiser Woods, in Legally Blonde in 2001, the dog's elaborate pink outfits and matching accessories turned heads and attracted lots of comment. But by the time Moonie, the rescue-dog-turned-Hollywood-canine star died in 2016, the notion of dog owners dressing up their pets in colour co-ordinating 'mini me' outfits had become mainstream. You could now buy fancy clothes for your pooch in both pet stores and selected high-street fashion shops. And now clothes for canines are reaching another level: the much-vaunted H&M x Moschino collaboration, launched this week, featured a mini dog jacket with a gold chain print developed by Jeremy Scott - beyond cute and very instagrammable, especially with the hood up. 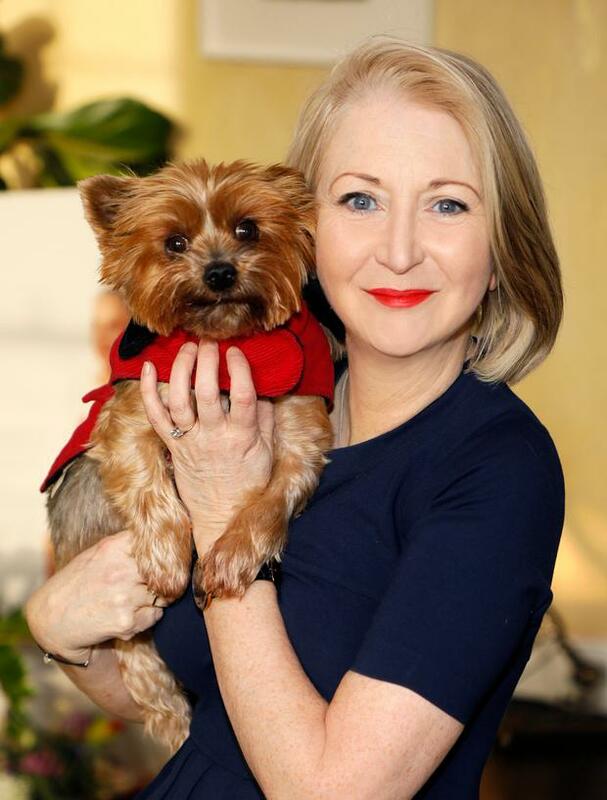 And this Christmas, the Brown Thomas Marvel Room launched with two designer looks - for elegant ladies (a floral gown from the designer du jour, Richard Quinn) and a French tee and beanie from Petements, the dog-friendly label which is a canine sister to the hugely popular Vetements. Petements has become the fashionable dog lovers' favourite Instagram account, with its pugs skateboarding in hoodies and pooches in mesh T-shirts, and the popularity of such brands underlines just how much the world of commerce is chasing, pardon the pun, dog lovers. It's was once a niche market, but more and more, it seems everyone enjoys dressing up their dogs. I do a bit of it myself, but not on a designer level. I may be a fashion editor and style shoots day in, day out, but I never wanted a dog that I could dress up. I wanted a pet, a companion to walk with, and with two grown-up children, I did not crave a third child to style in frothy, frilly little numbers. Sure, Romy Power, my eight-year-old Yorkie, owns a number of cute coats, but they are all very utilitarian and aimed at keeping her warm during our daily walks in the park. She has a canine equivalent of a Barbour quilted jacket that we picked up at her groomer's in Little Pace for a tenner. Her cosy, cable knit jumpers for winter days when the mercury drops come from River Island, Lidl or Aldi, and a friend bought her a beautiful red coat in TK Maxx for €12. She will undoubtedly get a Christmas jumper just like the rest of us will, but I don't subscribe to scaled down human outfits at Halloween or bathing suits for the beach or bows on her hair. 'Let Romy be a dog,' is my hard and fast rule and the jumpers and coats keep her warm. Shoes are out too but you do see them, especially in New York where pooches on the Upper East Side sashay to Central Park in Canine Converse. Dog owners I know have tracked down boots aimed at protecting paws without cramping their pet's style. Musher's Secret was originally developed for use with sledding dogs, and protects paws from snow, ice, salt, and chemicals. All of this mirrors the growing importance of dogs in our lives. It used to be the case that Fido was lucky to have a bed in the shed as opposed to sleeping open air in the yard beside the cat, but boy have times changed. Our dogs have crept more and more into our affections... and into the house. First, it was a bed in the utility room, then a few inches further and into a corner in the kitchen - until the inevitable happened and they arrived into the bed where they sleep at the foot of the bed and have their own furry 'comforter' blanket. You can't blame it all on Instagram, but this branch of social media has certainly opened our eyes to what goes on in dog circles, from clothing to expensive grooming, pedicures and even pampering. All a far cry from the gun dog who helped bring home the dinner. We Irish love our dogs and I'm always conscious when passing homeless people on the streets because they invariably reach out to touch and cuddle Romy, and share stories of the dogs they used to have, when they lived in a house. Mistreat a dog and you'll feel the heat. Mitt Romney never quite got over the bad press of how he treated Seamus, the family's Irish Setter, after putting him on the roof of the family's station wagon for a 12-hour, 650 mile trip to Ontario. Seamus, riding in a carrier, got diarrhoea and the narrative reached epic proportions. As the New York Times reported, Seamus came to represent the candidate - and not in a good way. Not even buying Seamus a cute dog coat could have fixed that one. Cheryl used to love being an A-list celebrity - what happened?